The recent ‘Drug-related deaths in Scotland in 2015’ report certainly makes alarming reading, with statistics showing that 706 drug-related deaths (DRDs) were registered in Scotland in 2015, 93 (15 per cent) more than in 2014. This was the largest number of DRDs ever recorded and a massive increase of 110 per cent on figures from 2005. Of particular concern in this year’s report were the 191 deaths attributed to benzodiazepines. Since 2009, the annual National Drug-Related Death Database has consistently shown opioids to be the most prominent group of substances involved in DRDs, but, according to the recent ScotPHO report, ‘Investigating the role of benzodiazepines in drug-related mortality’, the vast majority of DRD cases also had a benzodiazepine present in the post-mortem toxicology. 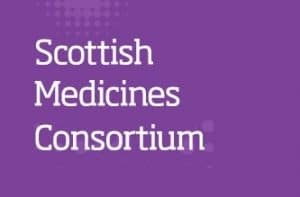 As a result, the role of benzodiazepines and benzodiazepine-type drugs in DRD has been identified as one of the priority areas for further investigation by the Scottish National Forum on Drug-Related Deaths. The widespread use and availability of benzodiazepine-type drugs from both legal and illicit sources has made it difficult for authorities to legislate for and restrict access to them. In addition to the fact that these drugs are readily available on the internet, there are numerous benzodiazepine-type drugs that are licensed in other countries. In fact, more than 30 such drugs are actually available, but only 16 are legislated for in the UK Misuse of Drug Regulations. While GPs and prescribers across the UK have focussed on reducing and restricting benzodiazepine-type drug prescribing, an alarming number of ‘street benzos’ have become increasingly available. ‘New’ or ‘Novel’ Psychoactive Substances (NPSs) have increased the complexity of substance use and related harms and, as a result, unwitting use of more potent drugs coupled with easier access to larger supplies are just two of the factors which have contributed to the increased mortality. The effect of benzodiazepine-type drugs on the body in itself is an equally serious contributing factor. Sedation, cognitive impairment and amnesia can lead to increased risk-taking behaviour and to a reduction in the effectiveness of harm-reduction advice. While diazepam and other benzodiazepines have been shown to have arrhythmic effects on the heart, the fact that substance users are more likely to use doses that are between five and ten times greater than a normal dose means that these arrhythmic effects may also contribute to DRDs. Substance users who are in and out of treatment are at higher risk of developing multimorbidity and will therefore receive multiple medicines, which may further complicate drug-drug and drug-disease interactions. It is interesting to note that the average age of DRDs has been increasing year on year and actually passed 40 for the first time in 2013. ‘The role of benzodiazepine-type drugs in DRDs is complicated by numerous factors, including the use of supratherapeutic megadoses and the lack of information about the metabolic and physical effects of such doses; the increasing use of benzodiazepine-type NPSs’; polydrug use and polypharmacy further complicating adverse drug effects; low and high drug blood concentrations being present in DRDs; and benzodiazepine-type drugs being associated with increased mortality when used at routine doses. Scottish Drugs Forum (SDF) has recently become so conscious of the presence of benzodiazepines that it produced a poster (below) to highlight the problem throughout communities. David Liddell, Chief Executive Officer at SDF, is only too aware of the problems caused by the increased role of benzodiazepines in DRDs and by the insidious nature of these drugs. ‘Recently revised government figures for 2010 estimate the number of problem drug users at 61500,’ David told SP. ‘That is one in every 85 people living in Scotland. A problem drug user is defined as someone who uses opiates or illicit benzodiazepines. This is a national phenomenon; although there are local variations within Scotland, Scotland itself has a higher level of benzodiazepine use than the rest of the UK. ‘Benzodiazepines have been used in Scotland by people who are most usually involved in polydrug use. In this context, they make an appearance in the record 706 drug overdose deaths recorded in Scotland in 2015. There were 191 deaths in which benzodiazepines were implicated, or to which they potentially contributed which is around the level seen in 2011 (185) and 2012 (196). ‘There have always been a range of sources of benzodiazepines in Scotland’s street drug markets. However, this picture has become much more complex more recently – and with serious consequences. As with other pharmaceuticals that are commonly used in this way, for example gabapentin and pregabalin, there is significant diversion from legitimate supply. There is certainly supply from NHS prescription where patients sell or are dispossessed of benzodiazepines prescribed to them. However, there are also significant levels of importation of pharmaceutical benzodiazepines which are not licensed in the UK, but are prescribed legitimately abroad. These include Phenazepam and Etizolam. At one stage these were available in so-called ‘legal highs’ shops although since May this year, the law prevents such supply of any psychoactive substances. ‘Another substantial issue exists with illegally manufactured benzodiazepines – some of which contain no benzodiazepines – and most of which are mixed or diluted benzodiazepines sometimes mixed with other substances. ‘All of these are sold on the street as valium (diazepam) or ‘blues’. To discourage diversion, some health boards only allow the prescription and dispensing of yellow (5mg) diazepam. The perception is that these have less of a street value because they are half the dose and less recognizable as ‘blues’. It seems unlikely that an experienced and perhaps desperate user would not use them despite this. ‘It is not unusual for users to self-administer way over the advised safe therapeutic dose. Street prices can be relatively low and tolerances very high. Profits are made from the sheer volume of sales. ‘In terms of harms, experienced users most often suffer acute problems with new types of benzodiazepine or when mixing substances. Benzodiazepine rate of onset and half lives vary significantly. Phenazepam, for example, has a very slow onset compared with diazepam, so users often re-dose during this period which results in overdosing as the full effect comes on. ‘However, once the variant factors are identified by users, they develop their own harm reduction messages and seem to share them. The evidence for this is that when new benzodiazepines have become available on the market, this is usually flagged up by a series of incidents, such as overdosing, blackouts and sustained periods of memory loss – sometimes with confusion as a result of using unfamiliar forms of benzo – and often in combination with other drugs including alcohol. After a period of time these presentations and issues subside. Cegedim Rx rolls out new and improved PMR functions, including UCF to all.